← links loved special edition: Lumiere! 191. A relaxed Friday night at home. 192. Sleeping in on Saturday morning. 193. Because Adam was working, I had the house to myself on Saturday. I did a massive pile of dishes that had been waiting and holding over from the previous three days. I cranked the tunes. I had the windows open. It was good. 194. A visit with a friend and chats about film-making, creativity, and community. 198. Visiting with a blog reader in Baddeck Bay (picture at top of post is from her home). 199. Visiting with my mom and brother on Sunday afternoon. There really is nothing like family, for getting old in-jokes, for laughing at the weird things, for presence, for love. 200. Returning home Sunday evening and curling up on the couch with Adam. Football on the TV, takeout pizza, and just being there together = heaven. This entry was posted in Art, Community, Day to Day Life, Towns + communities and tagged Cape Breton, family, Lumiere Cape Breton, Multitude Mondays. Bookmark the permalink. love the blue and white from your friend’s home… is that painted on, or paper or what? Curious… Thanks! 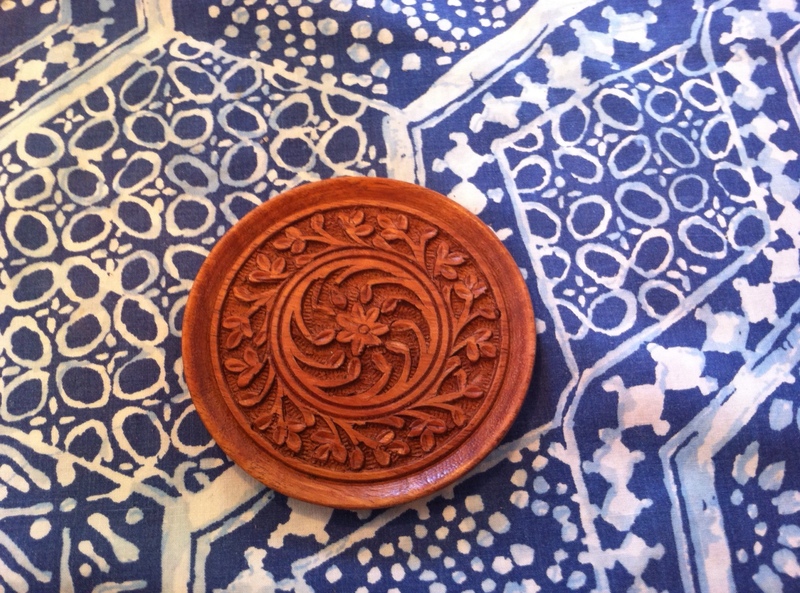 It is a batik table cloth with a carved wood coaster on it. So delightful to have a visit from the vivacious Leah, and neat to have someone appreciate small details in the home, most of which are carefully thought out. Thanks for the visit, Leah! Looking forward to the next one.